Russian markets will likely trade flat Thursday as investors look to US jobless data and the Eurozone’s retail prices report due later today. ­Russian stocks nosed down Wednesday following a report that Greece would seek an extended timetable to implement proposed austerity programs pegged to its debt bailout. The MICEX closed down 1% and the RTS declined 1.2%. 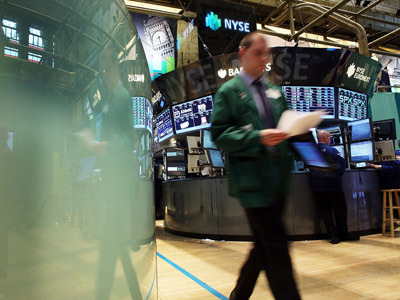 European equities declined Wednesday as investors weighed mixed US economic data and the Greece report. The Stoxx Europe 600 and France’s CAC 40 traded flat. The German DAX 30 shed 0.4%. Most US stocks trended upwards Wednesday on light volume as investors sifted through mixed economic reports. The Federal Reserve of New York said its manufacturing index dropped to negative 5.9 in August for the first time since October. But in a separate release, it reported that US industrial production rose 0.6% in July. 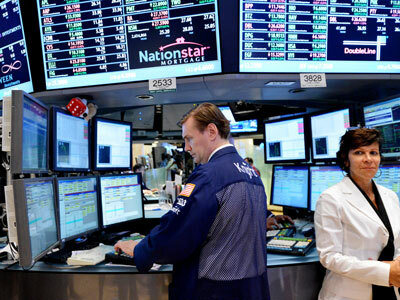 The Dow Jones lost less than 0.1%, the S&P 500 gained 0.1% and the Nasdaq rose 0.5%. Asian markets climbed on Thursday, with higher oil prices boosting energy futures. Japan’s Nikkei jumped 1.6% and Australia’s S&P/ASX 200 rose 0.9%, while South Korea’s Kospi ticked up 0.1% as investors returned from a holiday. The Shanghai Composite lost 0.1% with data showing that direct foreign investment in July dropped 8.7% from a year earlier. The Hong Kong’s Hang Seng rose 0.3%.